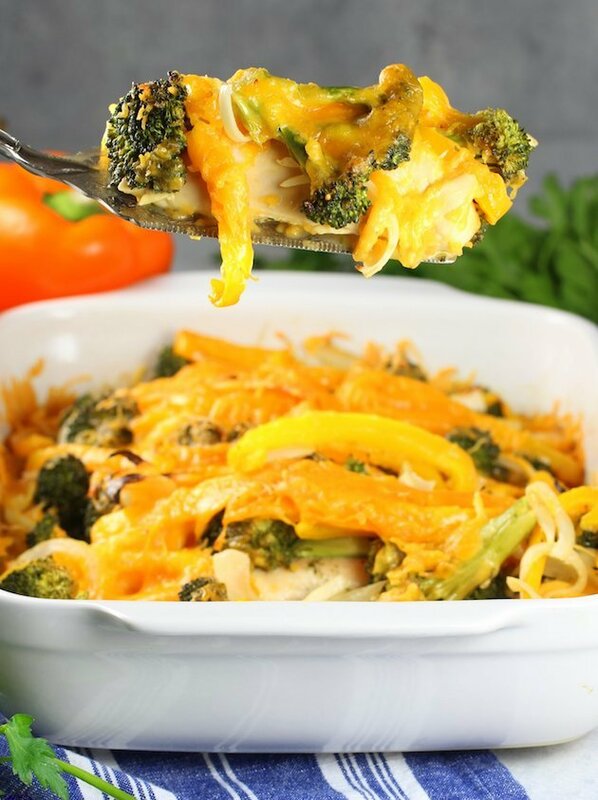 This low-carb Ranch Chicken Broccoli Casserole is full of lean chicken, healthy veggies, and so much yummy flavor! 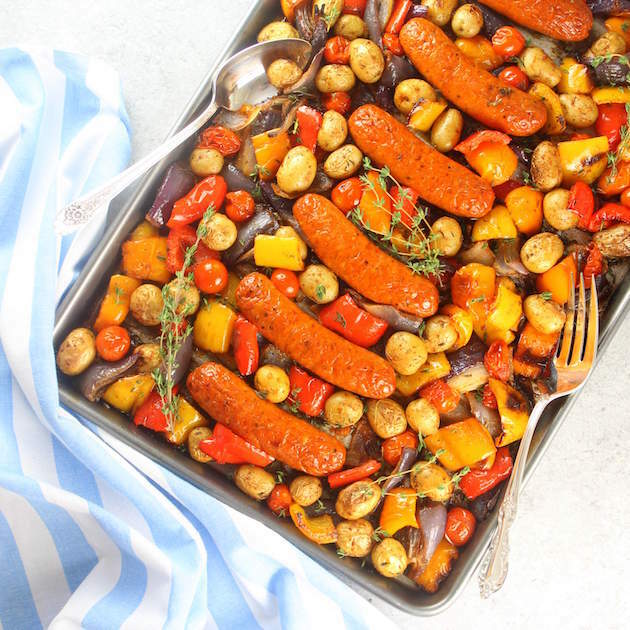 With only 7 ingredients this easy one-pan recipe will be you and your family’s new favorite go-to meal! I just love new things! A pair of new running shoes (so comfy), some new towels (super soft), a brand new car (real clean), and a New Year … fresh starts! Another chance to start again, kick off a new beginning, and hit the reset button. Love it! What about you? How are you celebrating the new year? Are you making resolutions? Setting new goals for yourself to broaden your mind, enrich your spirit and recharge that body?? That would be yes, yes, and yes for me! I know we don’t have to wait until a new year to get a do-over but it just seems like the perfect time to reset some unhealthy habits and start fresh again. For me that always includes my food choices. 2018 is all about more veggies and less refined sugar. I think I’ve already mentioned that I’m not a dessert fiend, but I do love some salt and vinegar potato chips. Mmm, mmm! D-licious! Stealthy healthy – that’s what I’m talkin’ about! 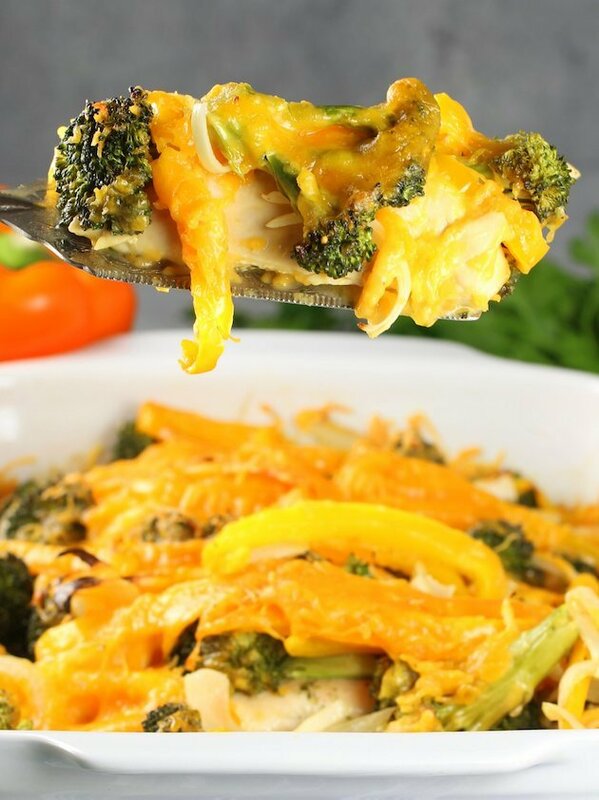 Ready for an amazing Ranch Chicken Broccoli combo?? 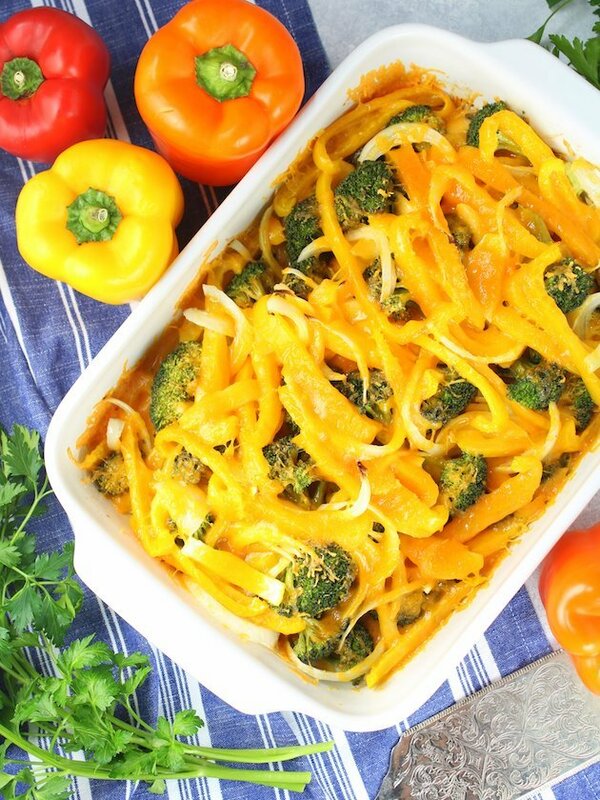 In honor of my dedication to eating the rainbow I’m coming out of the gate strong with this one-pan Ranch Chicken Broccoli Bake! 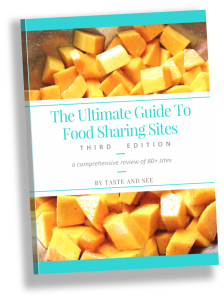 I’ve been chomping at the bit waiting to share this recipe with you, and today is the day! With a fancy video and all. What can I say? I’m here to help! 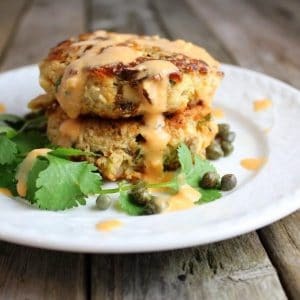 This recipe has only 7 ingredients and tastes so good! I use chicken tenders for this meal, but you could swap those out for chicken breasts. I just love how tender the meat is and since they’re smaller than breasts, they cook a little quicker. You preheat your oven to 350 degrees. 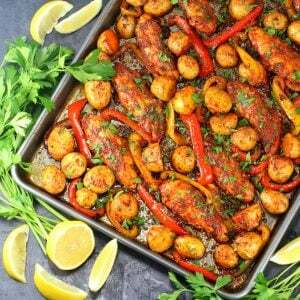 Add a little olive oil to the bottom of a 9×13 casserole dish. Place your chicken tenders in the dish side by side. Sprinkle on half of a ranch “dip” packet (not a “dressing” packet.) 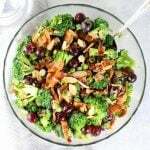 Top that with the chopped broccoli, sliced onions and peppers. Sprinkle on the rest of the ranch dip packet and the shredded cheddar cheese. 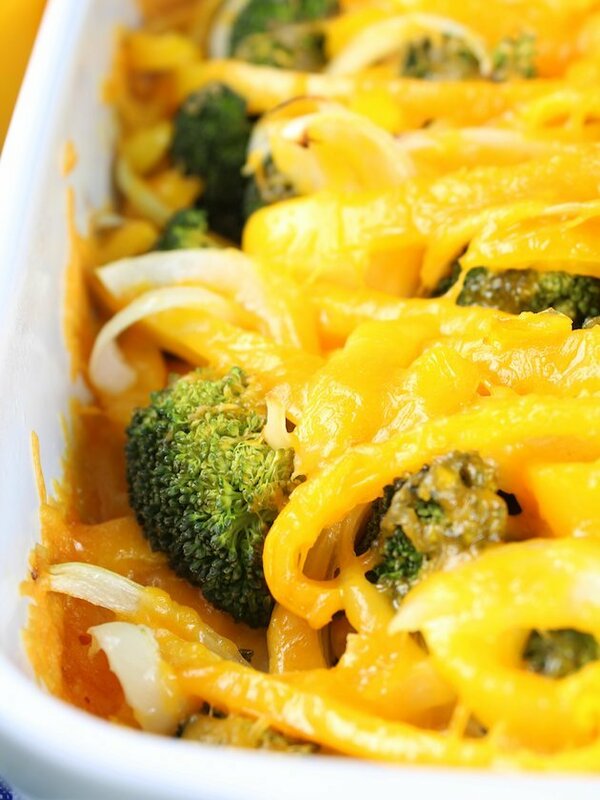 Throw that goodness in the oven and bake for 35-40 minutes. And voila! Your family’s new favorite, insanely tasty, go-to meal! Not kidding! I could eat this once a week for eternity. The veggies are still a little al dente and the chicken is so tender and juicy. The seasoning from the ranch is the perfect amount of flavoring for all this healthy yumminess. 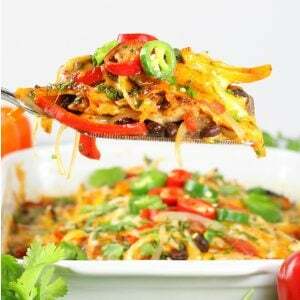 And then there’s the cheese – just enough to coat all those veggies and give it a creamy topping. 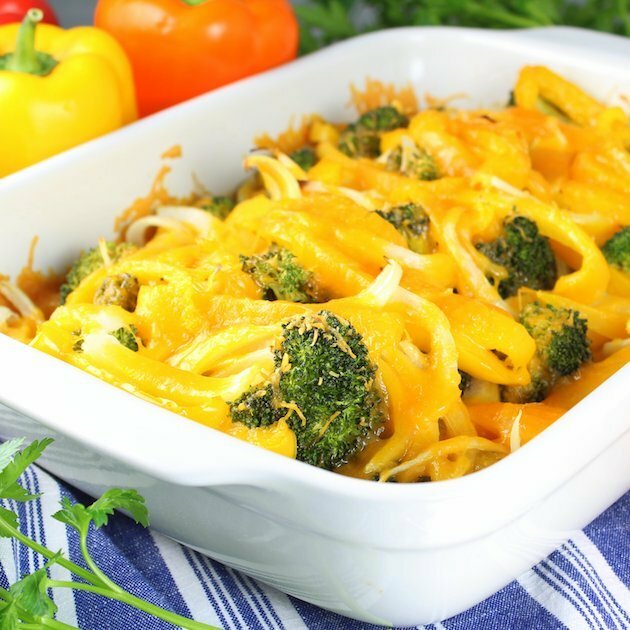 Ranch Chicken and Broccoli Casserole – stealthy healthy and ridiculously delicious! 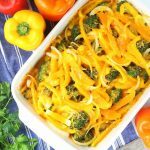 This low carb Ranch Chicken Broccoli Casserole is full of lean chicken, healthy veggies, and so much yummy flavor! 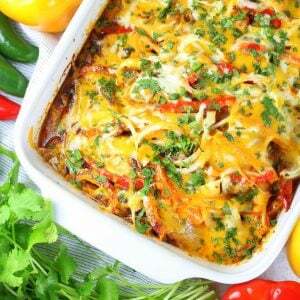 Add olive oil to the bottom of a 9x13 casserole dish. Place chicken tenders in the dish side by side. Sprinkle on half of the ranch “dip” packet. Top that with the chopped broccoli, sliced onions and peppers. Sprinkle on the rest of the ranch dip packet and the shredded cheddar cheese. Bake for 35-40 minutes, until the veggies are still a little al dente and the chicken temp reads 165F or higher. Looking for more healthy one-pan dinners? 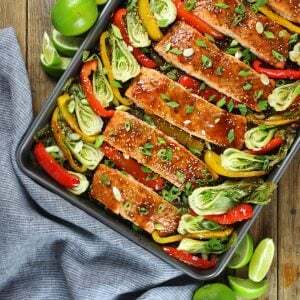 « Taste And See’s Top 10 New Recipes From 2017! 1. It was THE easiest thing to make EVER. 3. My preschoolers helped me make it and they devoured it! They were asking for Second servings of veggies. 4. This was easy to modify as well. My husband doesn’t like onions so I left onions off half of it and I need to use dairy minimally so I left the cheese off the other side. 5. If you meal prep for the week this would be SO easy to add to your lineup too! 6. Make this! You will fight over the leftovers if there are any! Jaime, you have made my week! Thank you for all of your feedback! 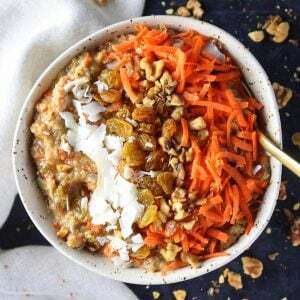 I wanted to create a healthy and super easy dish that parents and kiddos both would enjoy eating… you have just confirmed that this recipe does all of that. Thank you!! Hi Emma, I do bake this uncovered. It helps the liquid evaporate some from the dish. But you can bake it either way. Take care. Hey Elizabeth, There’s no problem at all. I’m sure it will turn out delicious. I think the dip packets have a stronger ranch flavor that’s why I like to use those. I’m pretty sure the dressing packets will work great too! 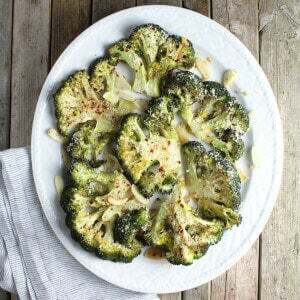 could cauliflower be used instead of broccoli ? Absolutely! Sounds like a yummy swap! What do you serve with this? Rice? Potatoes? Yayyy! Love to hear that! 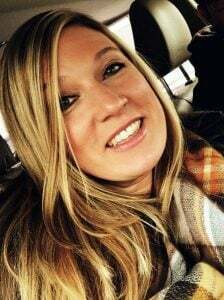 Thanks, Shawnna! Thanks so much my friend!! I can’t wait to try this. Looks so easy and delicious. It’s sooo good, Lori! And super easy too! Hope you love it like we do!